and last, and the very least. What’s the difference ? Does anyone care ? Talking more about MPO cabling and data centre cabling design. Which led into a discussion about data centre floors, power density, suspended cabling floors, contained hot or cold aisles and other related topics. Greg had a blog post http://etherealmind.com/notes-physical-connectors-40-100-gigabit-ethernet/. Because we haven’t discussed it enough yet. Carrier Grade NAT. 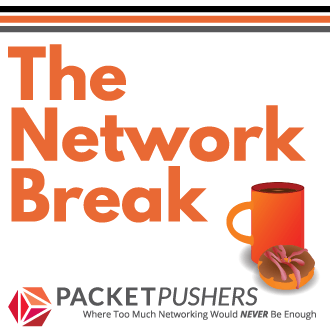 Deep Packet Inspection and the pathways is forces onto the traffic flows. How do you approach design a network form the ground up ? 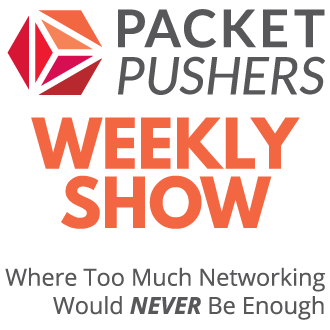 Follow the Packet Pushers on Twitter (@packetpushers | Greg @etherealmind | Tom Hollingsworth), and send your queries & comments about the show to [email protected]. We want to hear from you!